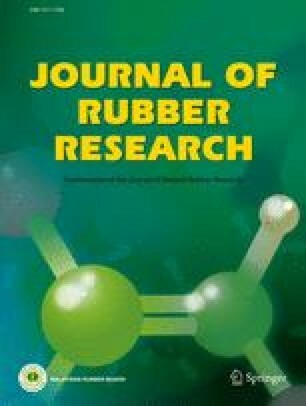 In this study, deproteinised natural rubber (DPNR) latex has been used to fabricate three prototypes of DPNR slow-recovery latex foam, which are latex foam mattress, shoe insoles and wheelchair cushion. The uniqueness of the DPNR slow-recovery latex foam is its ability to conform to the body shape according to both body weight and pressure, and thereafter to recover slowly from the impression made by the body. This ability increases surface contact area between the foam and the body, which helps to redistribute the body weight pressure over a larger area, thereby relieving pressure at stress points of the body. In this manner, DPNR slow-recovery latex foam ofers healthier blood circulation, extra comfort and prevents lower back pain. As such, DPNR slow-recovery latex foam will be effective to mitigate pressure ulcers caused by aggravated pressure between the skin and bony areas of the body such as beneath heels, hips, elbows and sacrum as well as buttock areas. It will also prevent development of foot ulcers associated with diabetic patients. Such uniqueness was confirmed using a modern pressure mapping system known as F-scan™ for shoe insoles and CONFORMat™ for wheelchair cushions from Tekscan® USA. The DPNR slow-recovery latex foam also exhibits a lower bounce effect compared to standard natural rubber (NR) latex foam, indicating its impact absorption capability which is important for application in athletic shoe insoles to mitigate potential injuries during sport activities such as running and landing. Besides having excellent mechanical properties and improved durability, DPNR slow-recovery latex foam is also a “greener” material due to its natural origin compared to conventional slow-recovery foam from man-made synthetic polymers.